This exciting workshop is perfect for anyone who is interested in developing their creative skills but can’t commit to a weekly class. 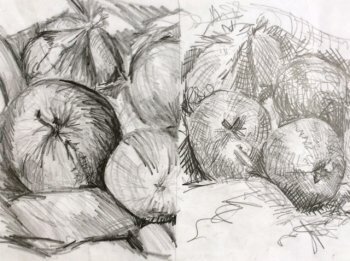 Often people want to paint or draw but just don’t know where to start! 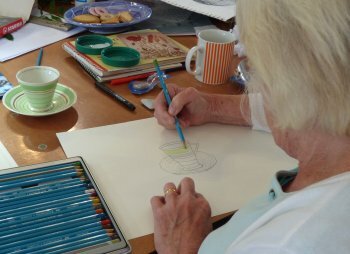 This one day workshop will provide the opportunity to learn the basics of painting and drawing in a practical, friendly and supportive atmosphere. No previous experience is necessary just a willingness to have a go! Please bring a basic selection of pencils and an A4 or A3 sketchbook - all other materials are provided. 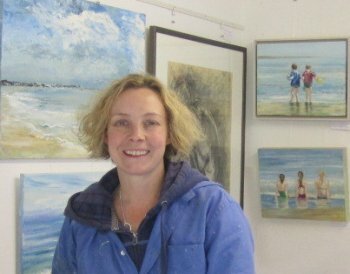 This class is led by Clare Tebboth, a professional artist and qualified teacher. 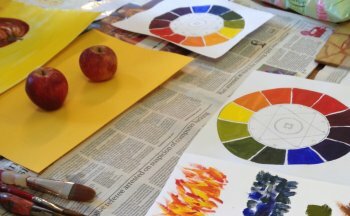 After enjoying this class you may like to consider joining Clare's 5 or 6 session painting and drawing course, covering a different subject or method each week, held on Thursday mornings or afternoons. 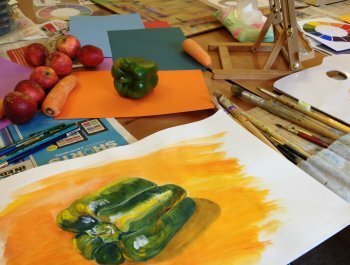 Still life studies in progress in Clare Tebboth's class Basics of colour and mark making are a great place to start! Plenty of inspiration and biscuits on our classes!